What's new in product pipeline 2016? 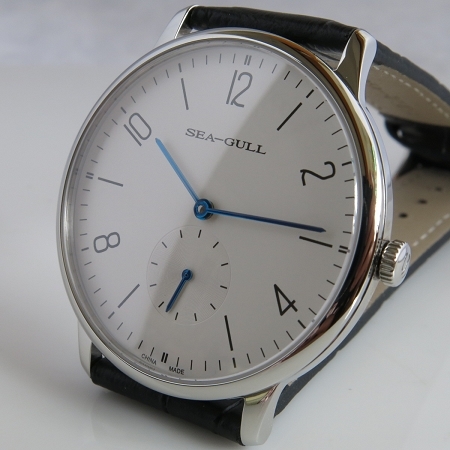 Sea-Gull D819.612 is one of the candidates. In an effort to deliver the highest value while offering the best price, virtually everything is the same as the previously issued D819.612 except the front crystal is downgraded from sapphire to mineral glass. Judged by appearance and built material, This timepiece is the king of king in the category of $100 hand-winding mechanical watch. As a matter of fact, the overall craftsmanship goes well beyond any other $100 watch is able to offer.